Home » Jailbreak your PS3 using an Android Phone! Jailbreak your PS3 using an Android Phone! With the PSJailbreak looking to get no nowhere fast with Sony being able to block it by legal means, is the ability to hack the PS3 lost forever? Apparently not, all you need is an Android Phone to jailbreak your PS3! Important Note: You may want to read about PS3 firmware 3.42 before proceeding with the Jailbreak. Download the PS3 hack for Android. Important Note: While this hack has been confirmed working (on the phones indicated in the compatibility list at least), you risk the health and warranty of your phone and console. Also it’s important to note that Sony has announced that they have the ability to detect hacked PS3s so take this warning to heart when going online via PSN. Extract N1-CM6-PSFreedom.tar.gz and copy the contents to your SD card. Copy PS3-signed.zip and PS3-No-More-signed.zip to your SD card. Reboot into the recovery console. 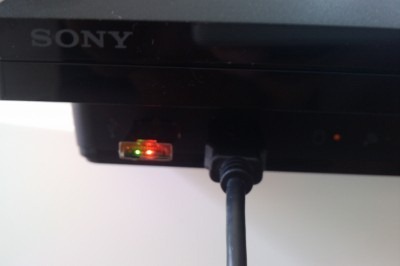 Kill the power to your PS3, switch on the back (PS3 Fat) or unplug from the wall (PS3 Slim), and connect your phone via USB. Re-enable power and press the PS3 power button followed by the eject button in quick succession. Your PS3 is now hacked! You’ll see “Install Package Files” under GAME on the XMB. To return your phone to normal just boot back to recovery and flash PS3-No-More-signed.zip. Simple right? This will disable wi-fi untill the original boot.img is flashed back. This will also disable USB mass storage. Hey man , I’ve read many tutorials about this hack for ps3 using android, but all of them assume the user has experience using connectbot. What do I enter for “username@hostname:” ? I jailbroke my ps3 slim using my android: Samsung Galaxy S.